As their name suggests, sugar gliders (Petaurus breviceps) love sweet things. But as much as you might enjoy delighting your little marsupial with sugary fruits, an imbalanced diet can devastate his health. This is particularly true if he's getting too little vitamin D or calcium, or too much vitamin C or phosphorus. Your sugar glider is an insectivore/omnivore. He requires a variety of foods to ensure a nutritionally balanced diet. In addition to insects, which provide high-quality protein, your glider should eat a combination of vegetables and fruits, including those that supply essential nutrients such as calcium and vitamins C and D. Varying your glider's food will help to stave off boredom and ensure a well-balanced diet. Feed your glider fresh protein, fruits and vegetables every day, and provide a staple of sugar glider kibble in his bowl. One small slice of apple, pear, sweet potato, watermelon, kiwi, mango, honeydew melon, cantaloupe, carrot, or a few blueberries are appropriate fresh vitamin sources each day. Sprinkle a mixture of specially formulated "warmblooded small animal" vitamin and calcium supplements onto your sugar glider's fresh food each day. This helps avoid nutritional deficiencies. Administer vitamin and calcium doses carefully, as too much can be dangerous. Follow the package instructions, and dose only small batches of fresh foods. Throw away any uneaten fresh food every day to protect against the possibility of a supplement overdose. Never add vitamins to your glider's water supply -- you wouldn't be able to monitor his intake. A sugar glider who gets too little calcium or vitamin D could develop weak bones or hind leg paralysis. These are symptoms of many metabolic bone diseases, including nutritional secondary hyparathyroidism. Too little calcium (hypocalcemia) in your pet's diet can also cause nervous excitability, which can cause tremors, lethargy, weakness or even convulsions in your pet. If you notice any of these symptoms in your sugar glider, contact your veterinarian immediately. Aggressive treatment might be needed to reverse the damage. Vitamin C and phosphorus can block the absorption of calcium, so don't give him too much of those nutrients. In addition to high phosphorus-to-calcium ratio imbalances, certain foods can be bad for your sugar glider for other reasons. 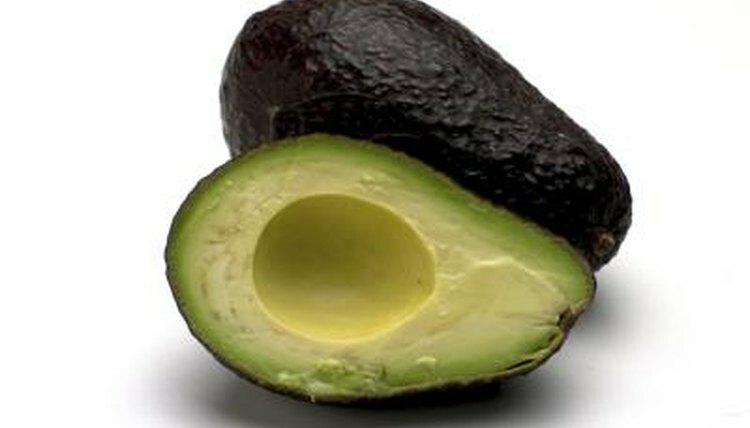 Avocados are extremely high in fat, which can contribute to kidney, liver or heart disease. Corn is not only high in phosphorus, it contains very high amounts of sugar, which can affect your glider's absorption of calcium and contribute to a metabolic disorder. Feeding your pet too much lettuce can give him loose stools, and grapes and raisins sometimes cause kidney failure in small animals.